Cut and trim sheet metal in comfort with the Klein Tools right cutting Aviation Snips. Snip blades are made of forged, heat-treated steel for superior strength and durability. A unique integrated wire cutter on outside of blade cuts duct and ceiling suspension wire. The spring-action lock allows opening of tool with one handed operation. 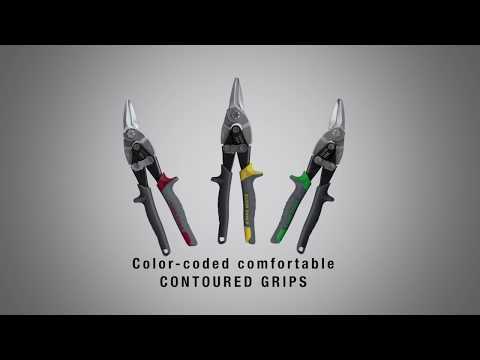 Snips are color-coded and feature comfortable contoured grips.